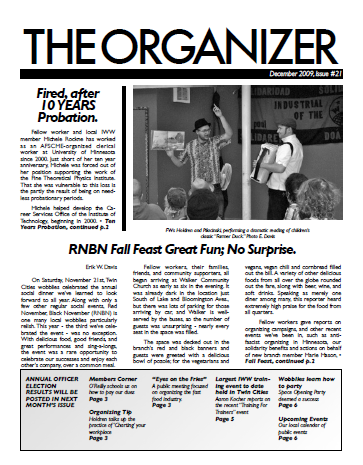 December 2009 PDF of the Twin Cities IWW branch's quarterly newsletter. Red November, Black November Fall Feast Great Fun; No Surprise. A public meeting focused on organizing the fast food industry.